Commencement is a great time for college graduates. It’s the cumulation of four or more years of hard work and dedication. Each year, these graduates get to hear words of wisdom from prominent Americans such as President Obama, Neil deGrasse Tyson, Bill Cosby, and Colin Powell (the speaker at my graduation ceremony). 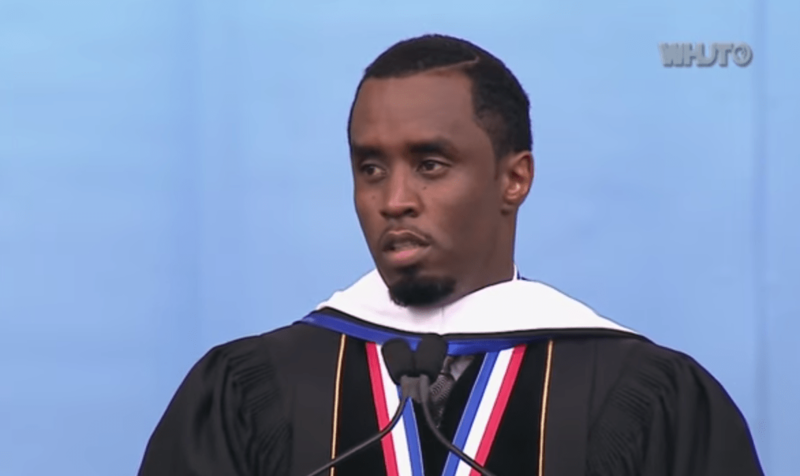 This year, Sean Combs (Puff Daddy, Puffy, P-Diddy, Diddy, Sean John, or whatever he calls himself) was the commencement speaker for the 2014 graduating class at my alma mater, Howard University. His selection caused much debate among students and alumni. People were worried that having him as the speaker would send the wrong message because of his past behavior, the content of his music, his being a college drop-out (Combs attend Howard for a couple of years). Despite the controversy, Combs managed to deliver a speech that was inspirational and filled with hard-learned wisdom about business and life. The hip-hop mogul talked about his successes and failures and encouraged the students to pursue their passions without fear. “I don’t want you to be the next Oprah, or the next Barack Obama, I want you to be the next YOU. Do you know how powerful you are?” Combs said. Watch the video and share your thoughts about Combs’ speech.